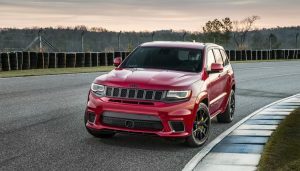 Jeep Grand Cherokee Summit: Do You Want to Go Off Road at That Price? So you want a top-line luxury SUV, but you actually want to go off-roading, like, for reals. 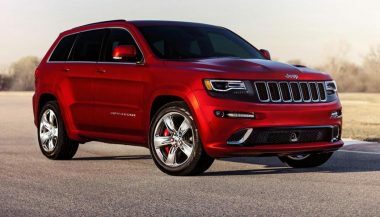 There are a few good options in today’s market, and one of them is the Jeep Grand Cherokee Summit. 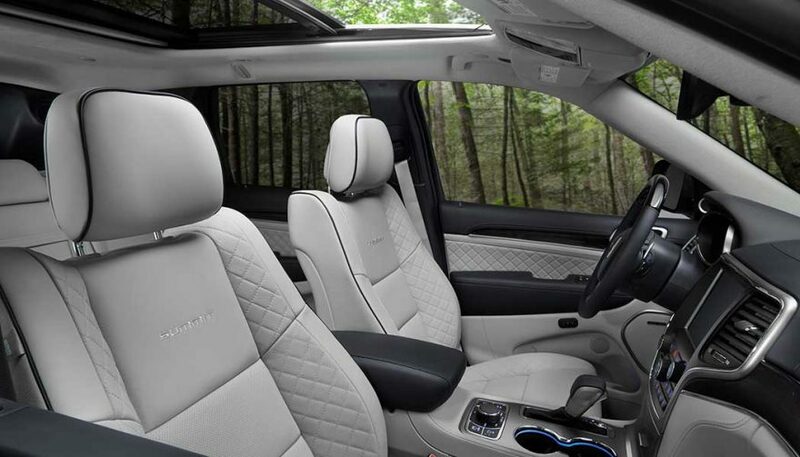 The Summit is the top trim for the Grand Cherokee. 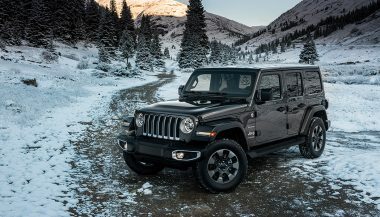 It’s an SUV designed to deliver top-dog feature content, luxury and technology, underscored by decades of off-road experience that is Jeep’s claim to fame. Think “loaded to the nines, and then some,” and you’re in the ballpark. The tested Jeep Grand Cherokee Summit included, well, everything. Setting it off? A showstopper cabin coated almost entirely with ritzy Laguna leather that extends onto the dash, center tunnel, and fully coats the door panels. Quilting. Stitching. Chrome. Wood. It’s a cockpit that’ll wow first-time occupants, every time, even if some of the control interfaces and consoles are starting to look dated. With abundant richness flaunted via the carefully deployed material, texture and color palette, drivers can enjoy a cabin that’s high-tech, classy and mostly modern all at once. By and large, this cabin supports the Summit’s hefty price tag, which starts in the mid $50K range and climbs. If you think that’s excessive, you’re not alone. But you’re not necessarily correct, either. Jeep is moving these things, and sales are up, too. The Jeep Grand Cherokee Summit wants you to go off-roading. It wants you to hit the trails while you sit back smugly as its computerized knick-knacks do all the hard work for you. Case in point? The Quadra Lift air suspension. Tap a button and it lifts the body high up on the wheels for added clearance to keep your floor-plan intact. Tap another button, and Quadra Lift slams the machine down to the ground, making it easier to load family, gear and pets. Picking grandma up for Sunday brunch? Set Quadra Lift to ACCESS height, and she’ll nearly be able to walk right in. What’s more, Jeep installed skid plates to protect the Summit’s vital organs. Even if you manage to run out of ground clearance, its typically gravel and muck and sticks versus solid steel. So drivers have one less thing to worry about. Ditto the low-range transfer case, which is a relative rarity in this segment. 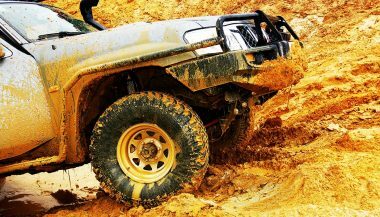 With low-range gearing accessible in seconds, numerous possibilities can tackle various challenging off-road tasks. The hardware is helpful on the trail, and so is the software. The Summit’s SelectTerrain traction management system calibrates the throttle, transmission, stability control, transfer case and even differentials for maximum extraction of grip from the surface beneath. 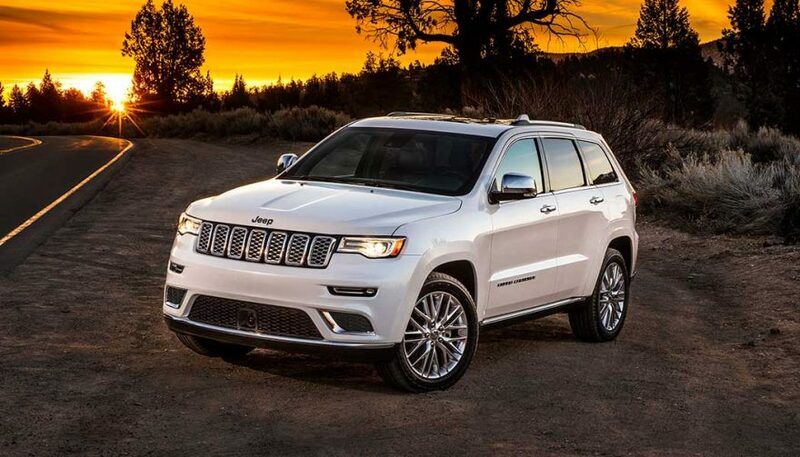 Grand Cherokee Summit rides like it looks like rides: heavy, sturdy and solid. Nicely controlled body motions mean limited tousling on rougher roads. Active noise cancellation helps keep the cabin calm and quiet, even at speed. Steering is vague and soft, though just heavy enough at speed to help lock the vehicle into its lane with minimal need for readjusting. In town, the ride can get harsh on the poorest roads, despite the air suspension. Largely, this is the result of the big wheels and thin tires. It’s still comfortable, just a little rougher around the edges than expected at times. Overall on road or trail, the stand-out feeling from the suspension and ride is one of solid durability. On any trip, expect plenty of room for four adults, five when absolutely needed. 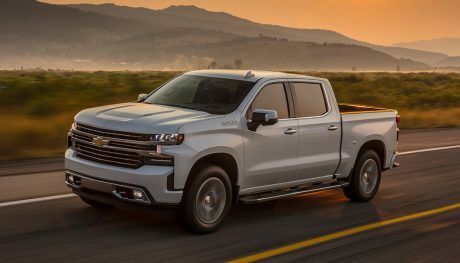 There’s decent rear seat legroom, as well as a nicely trimmed wide, flat cargo area that’s nicely trimmed, fitted with fully flat-folding seats which enhance flexibility. Propulsion comes from a 5.7-liter HEMI V8 engine, with 360 horsepower. Big, simple and highly effective, it generates plenty of pulling power, refined light-throttle operation, generous low-rev torque, and better mileage than you think. The HEMI is a gentle when driven easily, hardly making much of a peep and whisking the Summit along with minimal throttle inputs. But when called upon with full throttle, it sounds like a Hollywood car chase scene, thanks to old-school V8 sound effects. An 8-speed automatic helps enhance performance and fuel economy. The Grand Cherokee Summit ticks most of the right boxes, but there are gripes. When initially applied, teh brakes feel fairly numb. You need to stomp on the pedal to get the thing stationary in any sort of hurry. Performance is fine overall, but numerous competitors have a more confidence-inspiring feel dialed into their braking system. Headlight performance is adequate, but they left a lot to be desired for the money. Specifically, the spread, saturation and placement of the forward illumination is bang on, but I found myself wishing for brighter light output. All said, Summit hides the Grand Cherokee’s age fairly well in most regards. If you’re after flagship-level power, luxury and features with the expertise of decades of off-road experience built right in – all for about the same price as a fairly basic European luxury SUV – this machine should probably be on your radar.